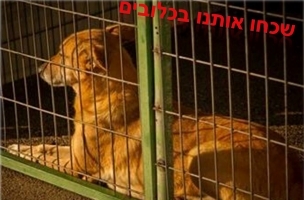 Facebook has gone to the dogs, but it’s for a worthy cause: Israeli ad agency Ecaliptoos is helping to call attention to the plight of dogs who have spent more than two years in shelters with its promotion of Facebook page Forgotten in Cages. Hundreds of pictures of dogs are shared daily on social networks. 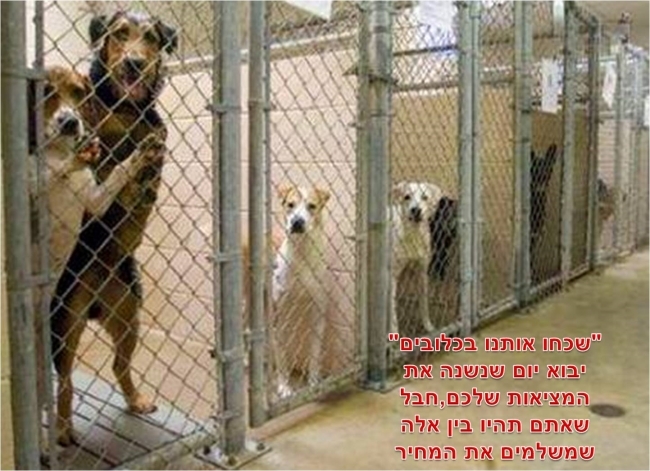 These pictures describe the difficult stories of the photographed dogs, along with a plea for an urgent adoption. Some dogs are lucky enough to receive the embrace of a warm family thanks to the exposure, but what happens to the dogs who don’t get adopted? Those are easily forgotten by the surfers. Their pictures “collect dust” in Facebook albums as a painful testimonial to the fact that these dogs might remain in the dog pound for years, or might even be put to sleep. Facebook page Forgotten in Cages gives a stage to dogs that spent two years or more in the dog pound. The page presents the dogs’ only wish — to be a member of a warm family. We decided to raise awareness of the page and help the dogs find forever homes. We came to the realization that the Facebook album grid resembles the cages where dogs spend their lives. We utilized the grid and created an image of a dog locked in a cage in order to give the surfers the look and feel of the physical cages. Readers: What did you think of the effort by Ecaliptoos?